Slip-On Flanges continue to be preferred to welding neck flanges by many users on account of their initially lower cost, the reduced accuracy required in cutting the pipe to length, and the somewhat greater ease of alignment of the assembly; however their final installed cost is probably not much, if any, less than that of welding neck flanges. Their calculated strength under internal pressure is approximately two-thirds that of welding neck flanges, and their life under fatigue is about one-third that of the latter. 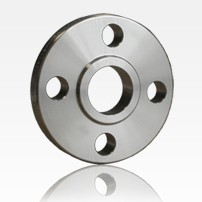 For these reasons, slip-on flanges are limited to sizes 1/2" to 2 1/2" in the 1500 lb standard and are not shown in the 2500lb standard.